Mike Walker will give an illustrated talk on the old hotels of Cape Town, most of which live only in records and personal memories. 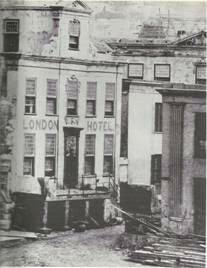 As the ‘Tavern of the Seas’ the old lodging houses and subsequently hotels helped to shape Cape Town’s identity. In 1906 there were 160 licensed drinking places in Cape Town including hotels, taverns, inns and bottle stores. The link between hotels, a license and a bed for the night was much deplored by the temperance movement who argued that “billiards and brandy, the two curses of Cape Town prevail”. His recent book, “The old hotels of Cape Town”, is a sequel to his 2012 publication on the “Early architects of Cape Town and their buildings”, Michael has researched the architecture and the architects of these late 19th and early 20th century hotels and in many instances takes the story on to the later more recent history of these many establishments. 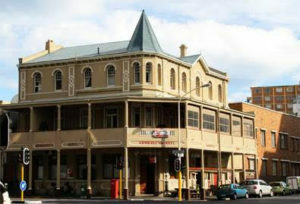 Many of these hotels, both major and minor reflected the vogue for the ornate, decorative style of Art Nouveau design. Only two of those many hotels of the era remain in their original form and function and hence the sub title about this history being forgotten or seldom told. Our speaker, Michael Walker, has published on a wide range of subjects with his latest being a focus on the early hotels of Cape Town, the subject of his talk to the Vernacs. Michael was born- and still lives in St James. He was schooled at Bishops, where he matriculated in 1957, and then furthered his education at UCT graduating with a B.Com. degree. He then embarked on a three-year career with the merchant navy. Starting out as a greaser-cleaner with Union Castle, he eventually ended as an assistant purser with Safmarine. His interest in ships grew and it was the sinking of his ship while on leave that aroused his interest in shipwrecks, the theme of three of his books. The SA Seafarer sank at Mouille Point on 1 July 1966. This signified the end of his seafaring career and seeded ideas for his future foray in writing. His first book was called, Shipwrecks of the Far South. This was followed by Hard Aground: Memorable Shipwrecks of the Western Cape andForgotten Shipwrecks of the Western Cape. Following this, Michael opened up a fibreglass business with a partner. It became one of the biggest fibreglass companies to supply rainwater products in SA. At the age of 55 he decided to retire, and to keep himself occupied he turned to research and writing history, which was his favourite subject. Architecture is another of his interests and a wish to find out the history of his own home led to his writing the book, A Statement in Stone: The architects and their buildings 1897-1927 at Muizenberg, Kalk Bay and St James which is now in its 2nd edition. Michael followed this with a number of books, among them St James, a Place of Dreams 1810-2010, co-authored with Derek Stuart-Findlay. VASSA talks are free and open to the public.